To put it prosaically, Wix is a platform for web design. In practice, it’s an accessible and intuitive way to build stylish professional websites, offering a startling degree of functionality to any level of design expertise. Whether you’re a total tech novice, a business owner or a professional website developer, Wix allows you to create whatever site you want. It’s the most technologically advanced and most versatile builder in the world, truly empowering its users. Wix comes into its own as a tool for designers looking to create interactive online portfolios of their visual work. Its Editor software allows those with basic web design acumen to build stunning platforms from scratch via a host of pitch-perfect features that afford complete creative freedom. Leading the charge on Wix’s design identity – and the way the company engages with the design world – is Hagit Kaufman, VP of brand & design. 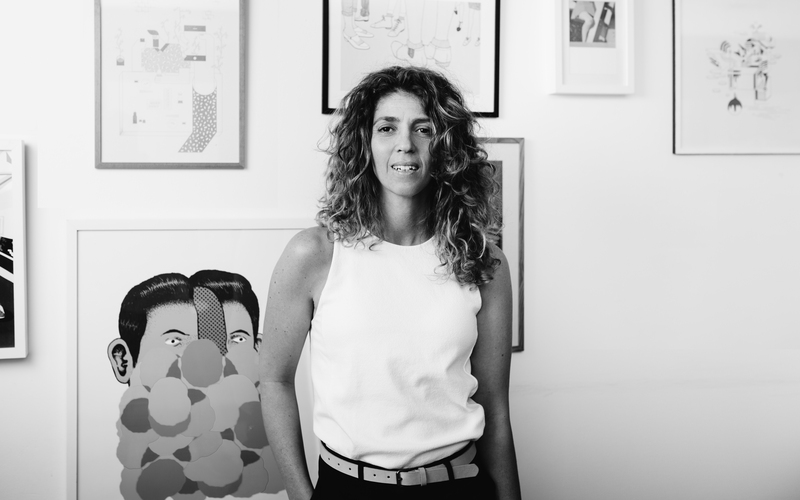 She’s been heading up Wix’s Design Studio for a decade, and personifies the company’s progressive attitude to creative expression. This is manifested in a couple of distinct ways. First, it’s in the practical, nuts and bolts approach to creating a website with Wix. OFFF TLV 2017 | Opening Titles by the Wix Design Team from High On Design on Vimeo. ‘When you create a website with a developer, you often find yourself at a point when your initial vision is suddenly open to negotiation,’ explains Kaufman of the usual web building experience. Not so here. Wix is loaded with ready-made element layouts, that can be endlessly tweaked to apply personal signatures and styles. These have been created for designers by designers, and it shows. There’s the drag and drop usability, retina-ready image quality, massive font sets, eye-catching design effects, high quality video players, galleries and mobile optimised displays. Even SEO-related and invisible back-end details are covered, and the recently launched Wix Code allows users to take things up a notch – making it easier for a designer or developer to incorporate more complex web apps, change site behaviours and generally fashion a richer domain. Then there are WIX’s more playful aspects: an embrace of design for design’s sake, recently encapsulated in the company’s ‘Take the Playground’ initiative. A collaboration with Dribbble – an online ‘show and tell for designers’ – the campaign invited designers to reimagine to the word ‘playground’ in as outlandish a fashion as they could muster, via 3D modelling, illustration, GIFs and more. The results – from isometric landscapes to black metal-indebted logos – are as varied as they are intricate and irreverent. It is, says Kaufman, ‘a call to action, a dare to designers to create something stunning and have fun with it’. Further proof, if it were needed, of WIX’s knack for catalysing the creative spirit of its users. As head of the Design Studio, Kaufman is responsible for conceptualising such eye-catching promo-related content. But she didn’t start out as a digital maven. After a post-school spell in the Israeli airforce, she took to more tactile creative disciplines like carpentry and papier-mâché sculpting, before merging her interests in industrial design and graphics, and enrolling on the Holon Institute of Technology’s visual communication programme. After graduating, she began a business creating illustrated assembly instructions for some of the world’s leading brands. It was an intuitive niche to fill, and a precursor to the pairing of form and function Wix does so well. Crucially, Wix is not about providing designers with a quick-fix for creating a website – it is about providing accessible, intuitive tools to allow the user to create a perfect digital window into the world they want to convey. 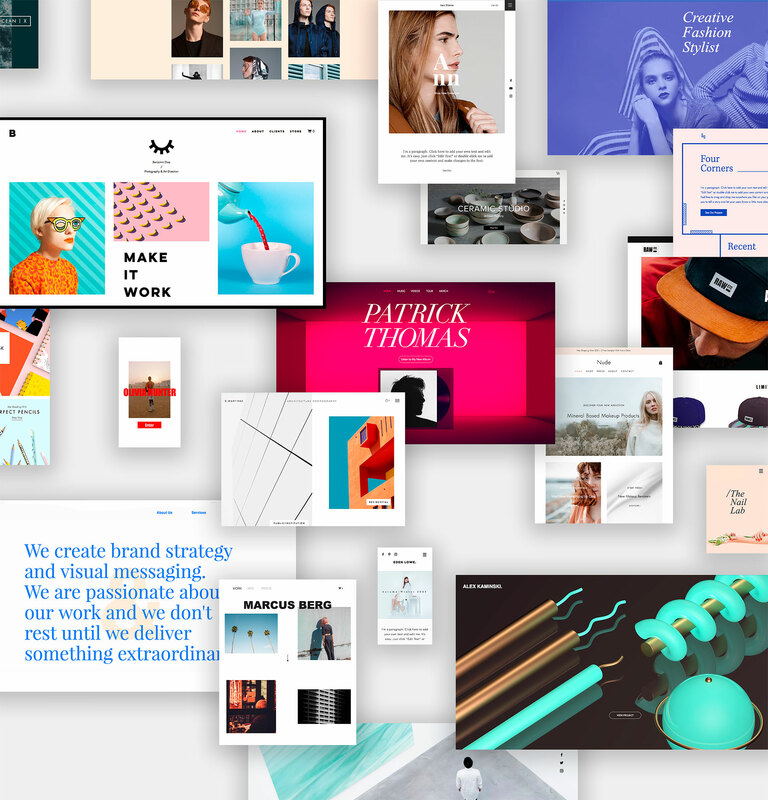 With Wix, the once-alienating world of web design is made accessible to all, and to a designer, it literally opens up new horizons. Its successes stem from the ability to find hitherto unseen beauty in the banal. When asked what creatively inspires her, Kaufman is specific: Jeff Koons. The high-rolling pop artist has many fans, but she’s quick to qualify his significance: ‘[It’s] his ability to take something very mundane and elevate it to something that feels extraordinary. He makes you feel small so that well-known objects become beautiful, in an artistic way.’ It’s a philosophy that’s been seamlessly integrated into Wix and the way it has repositioned the website as artform. ‘The everyday object is beautiful,’ Kaufman says, ‘if you look at it from the right angle.’ Wix provides this new way of seeing.